Digital Graffiti at Alys Beach is a colorful and creative projection art festival where artists from around the globe use the latest digital technologies to create and project original works onto the ubiquitous white walls of Alys Beach. The 12th Annual Festival takes place May 17-18, 2019. Featured in National Geographic’s “24 Unconventional Art Destinations Around the World”, the immersive art experience is sometimes referred to as “Photon Bombing,” “Guerilla Projection” or “Urban Projection”. The festival curates the best digital creations by artists from every part of the world who use the latest design, animation and projection technologies. Digital Graffiti at Alys Beach is a festival geared towards bringing these artists together in one place to celebrate and showcase their talents in a world-class coastal community, recently declared one of the most beautiful small towns in America by Architectural Digest. Each year, the festival attracts digital artists, filmmakers, interactive designers, photographers, VJs, and fans of art, design, technology, and architecture. Thousands of dollars in cash prizes are awarded to artists, with digital submissions being received from as far away as Israel, Austria, Canada, Germany, London, India, France, Italy and China. Opening night, Friday May, 17, is a family-friendly night featuring the 2019 projection art installations. Local food trucks and vendors are located throughout the festival, while the street party winds through Alys Beach from Scenic 30A all the way to Caliza Pool & Restaurant. There, attendees can purchase à la carte food and beverage and experience fun for the whole family. This event is open to all ages. Saturday evening, May 18, is an all-inclusive food and drink experience, with stops along the festival’s path featuring samples by local and regional chefs, winemakers, distillers, and breweries. The evening culminates with desserts, spirits, and casual discussions of art around the pool at Caliza Pool & Restaurant, which will showcase additional artwork. This event is 21+. Start off the weekend with the official kickoff on Friday at Hammerhead’s Bar & Grille with a delicious Shrimp Boil from 5-7 p.m. Pay at the door for Friday night’s festivities. On Saturday, from 12-4 p.m. is the main event where you can sample a variety of gumbo and vote for your favorite as the “People’s Choice” winner while the celebrity judges will name the “Area’s Best.” Guests can enjoy live Zydeco music from Dikki Du and the Zydeco Krewe, family activities and the best gumbo cook-off on the Gulf Coast. 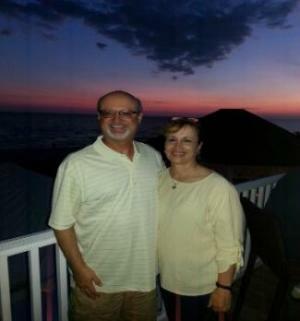 What began as a small fundraiser for the Seaside Neighborhood School is now a cherished annual tradition, with tickets for the races selling out months in advance. The Seaside School Half Marathon & 5k Run is scheduled for March 3, 2019, and will welcome runners on a fast, mostly flat course that runs through quaint beach towns along scenic 30-A. Starting at 7 a.m. from Seaside, the racers will run west past the beach towns of Watercolor, Grayton Beach, Blue Mountain Beach, and Santa Rosa Beach with the halfway point and turnaround at Gulf Place. After the race is over, exhausted medal-toting runners are treated to a free live concert in Seaside’s amphitheater, slow-cooked barbecue, hand-blown glass trophies for category winners and Vera Bradley handbags. Half marathon finishers also receive a custom medal. The perfect mix of cool beach weather and red-hot music is what you will find during the 30A Songwriters Festival. More than 175 artists perform in this truly collaborative event, allowing some of the craft’s most talented songwriters to offer an in-depth look into the creative process. Artists will perform many live performances in intimate venues and large amphitheaters throughout the 16 beach neighborhoods of South Walton. 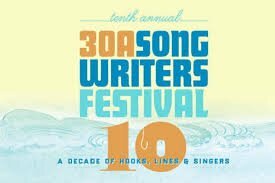 Visit 30ASongwritersFestival.com for tickets as well as artist and schedule details, as they are available. Features 175 songwriters and over 225 performances at more than 25 venues in South Walton. This fall, reds, whites, and rosés will be uncorked during Seeing Red Wine Festival, four days of wine and culinary events being held in Seaside Nov. 8 – 11, 2018. Recognized as one of the “Top 10 Can’t-Miss Fall Wine Festivals” by Fodor’s Travel, the festival draws attendees from around the world who make the trip to the iconic beach town a yearly tradition. Guests will enjoy sipping on delicious wines, and tasting unique and delectable food pairings. Wine aficionados and foodies will savor carefully selected Gulf Coast-to-table dishes from Seaside’s famous restaurants while sipping beautifully-paired, quality-curated wines from around the globe. This year’s festivities include Bud & Alley’s Wine Dinner on Thursday evening, the Gulf Coast to Table Dinner on Friday, the Festival Grand Tasting on Saturday, and a Celebration Of Bubbles Brunch on Sunday, all in coveted Seaside style. To learn more or to purchase tickets to the 28th Annual Seeing Red Wine Festival, visit SeeingRedWineFestival.com. Set in an idyllic beach locale complete with picturesque cobblestone streets and exquisite wines ready for the pour, Rosemary Beach Uncorked will celebrate its 8th year with the 2018 event set to take place Saturday, October 13, 1 PM to 4 PM. Taste the very best of food nd wine Rosemary Beach has to offer with eight featured restaurants, countless bottles ready for the pour and a rockin’ band performing live throughout the festival. The 2018 beneficiary is Habitat for Humanity of Walton County. Rosemary Beach is a unique and picturesque beach town that brings an island charm and style to the eastern end of South Walton. One of a handful of New Urban towns on Scenic 30A, it’s a place that’s meant to be experienced on foot or by bike. Its narrow streets and paths are begging to be explored. Grab a blanket and come out to the Seaside Amphitheater on summer Friday nights for a family movie on the lawn. Free and open to the public. Bring your blankets to the amphitheater for an 8 p.m. screening. If you’re looking for a bite to eat or treat to cure the sweet tooth, Airstream Row has you covered. Join us Friday through Sunday, May 4-6, for one of Seaside’s most exciting times of the year, Seaside Dance Festival weekend. This annual dance festival features dance artists from professional companies around the globe to the newly constructed Seaside Lyceum Stage for a weekend celebration of exceptional dance artistry. All events are free and open to the public. The Seaside Dance Festival offers a variety of dance style performances by professionals which include ballet, contemporary, tap, hip hop, jazz, modern, neo-classical and more. This year, the Seaside Dance Festival features performances from New York Dance Project, Paul Taylor II, Complexions, Rasta Thomas, Gwen Gussman, Sarah Wolff, and Florida Ballet. Digital Graffiti in Alys Beach on 30A! Come see Digital Graffiti at Alys Beach on March 18-20, 2018. This is a one-of-a-kind projection art festival where artists use the latest digital technologies to project their original works onto the iconic white walls of Alys Beach. On March 4, 2018, the 16th Annual SEASIDE SCHOOL HALF MARATHON & 5K RUN takes place in Seaside, Florida. This memorable run offers an out-and-back, fast and mostly flat course where you will run past quaint beach towns, rare coastal dune lakes, and some of the most beautiful, sugar-sand beaches in all of the country. All finishers will be awarded a Vera Bradley tote! In addition, half-marathon competitors will receive a custom finisher’s medallion at the finish line, and both race category participants get a moisture-wicking technical shirt. Celebrate at the post-race party and enjoy live music.